Late-summer is one of the lushest times of the year. Juicy, ripe stone fruit like apricots are at their peak, and while perfect fresh and eaten right out of hand, they're also really wonderful served grilled. Grilling apricots takes just a few minutes, but makes that already delicious fruit even sweeter and better by caramelizing the natural sugars and adding just a hint of smokiness to every bite. 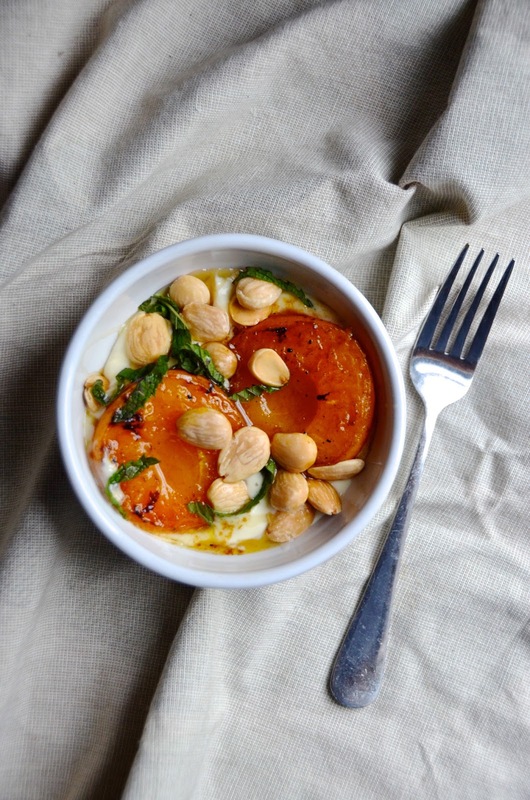 An easy, cool almond mascarpone cream is a lovely contrast to the warm grilled fruit. I love the natural sweetness of mascarpone (an Italian cream cheese you can find at most good grocery stores and gourmet markets)--a bit of heavy cream, almond, and honey brings it out even more. FYI that if you can't find mascarpone, full-fat ricotta is a perfect substitute! Preheat a grill pan. Brush with vegetable oil and place apricots, cut side down, until lightly charred—about 5 minutes. While the apricots grill, whisk together mascarpone, heavy cream, almond extract, and honey until smooth. 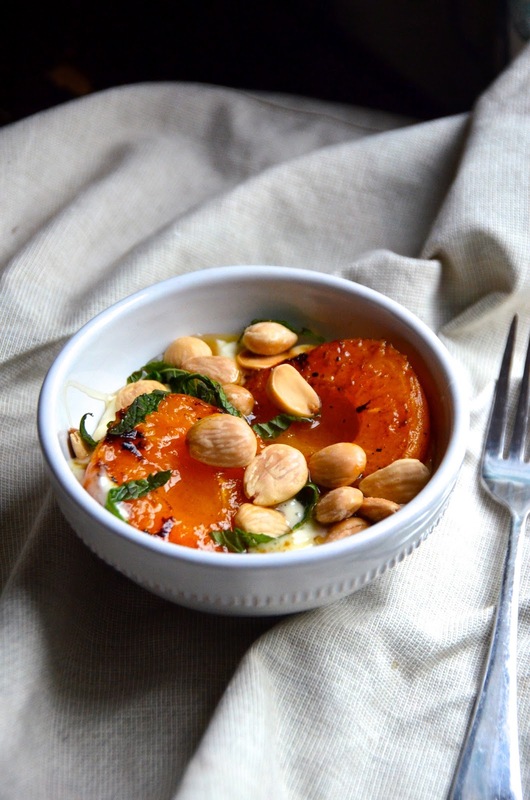 Divide almond cream into four small bowls, top with grilled apricots, and sprinkle with almonds, mint, and a drizzle of honey.